Israeli students paid a visit to the biggest TV news outlet, Israeli Channel 2. The students visited the main studio where the main news programme is being broadcast. Later, the students went to the control room, where they met a producer who explained the process of making the news. 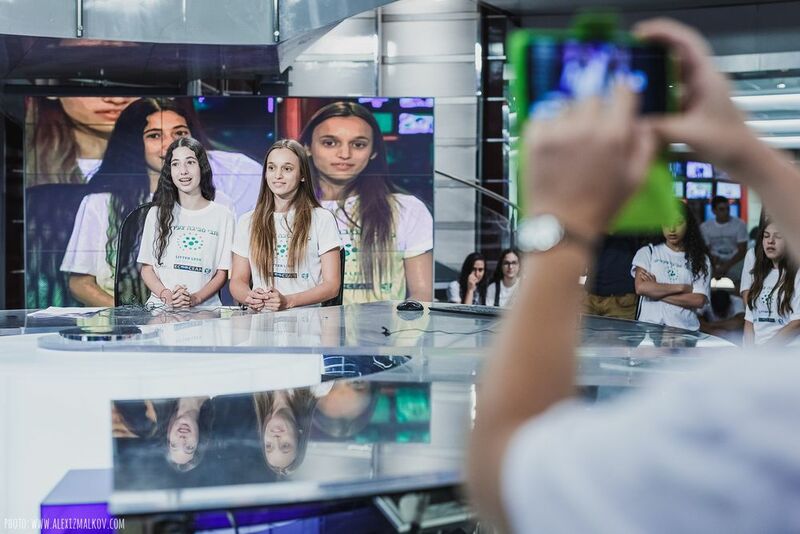 The producer spoke about how to make people interested in environmental issues, in a country where most people mostly care about security and politics. After lunch, each group presented their work to other students. On the subject of marine litter, students were given another presentation by an EcoOcean expert, about the most recent research on marine plastics and micro plastics. The day ended with the awards ceremony, where YRE Competition participants received their prizes and diplomas.